Kourtneay always knew she wanted to go into the field of health care. When she learned about Massage Therapy in high school she knew that was what she wanted to pursue as her career. Being able to help others without the use of medications or machines really spoke to her. She never looked back. 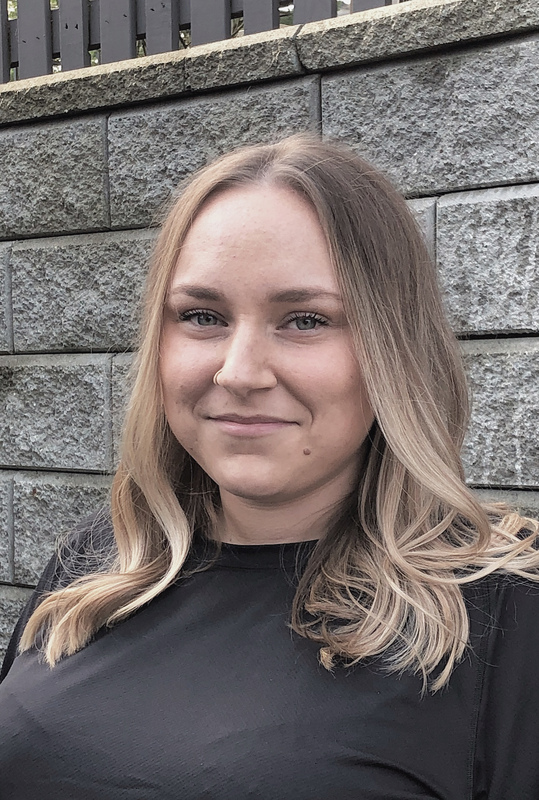 Kourtneay graduated from the Registered Massage Therapy program at Langara College in August 2018. During the program, she learned how the body can be effected by mental stress and fatigue and how that stress can manifest into physical pain and discomfort. Kourtneay’s treatments include a focus on breathing, in combination with trigger point release, myofascial release, passive and active stretching, and swedish massage techniques. Kourtneay was born and raised in Ladner, B.C; she played soccer throughout her youth. After 14 seasons of soccer with the Ladner Girls Soccer Club, Kourtneay gained interest in hiking, running and strength training. She found that the best way to deal with the stress she experienced was with physical activity and getting outside. Kourtneay wants to help her patients to succeed and be able to live happy and healthy lives. She loves pushing her patients with home care, making sure that they are fully involved in their recovery process and are able to fully help themselves in the long run.